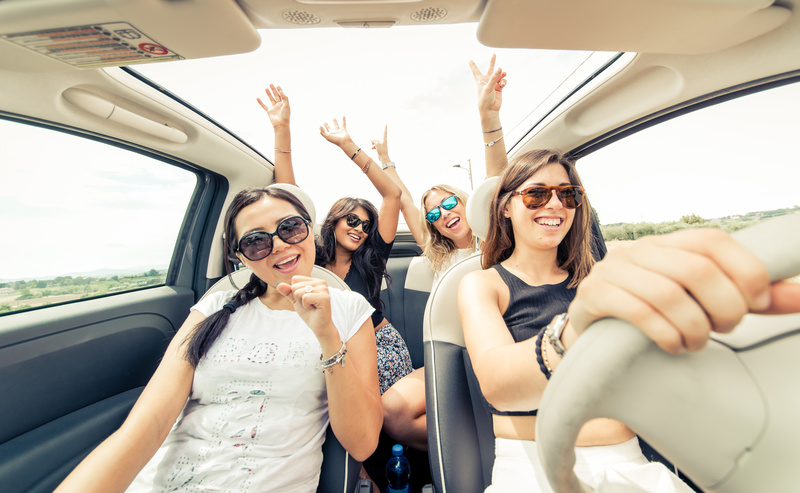 You and your friends are about to pile into the car to embark on a day trip that is sure to be packed with all sorts of fun and adventure. The driver knows their role, but the fight for the front has only just begun as the passengers try to wage their arguments for who deserves the highly-coveted front passenger “shotgun” seat in the car. After numerous futile “dibs” calls, a footrace that likely ended with a physical struggle in front of the car door, and pleas for sympathy from one friend claiming severe car sickness, a victor emerges and assumes their rightful throne while the less fortunate squeeze into the back where they will immediately begin barking for more leg room. The story illustrated above is a familiar occurrence for friends and groups as they prepare to travel, but there’s actually a lot more that goes into “riding shotgun” than just full control over legroom and air vents. You’re not just “riding shotgun,” you’re your driver’s new copilot. It’s important to remember that being an attentive and competent copilot can be just as important as being a safe, attentive driver. You don’t have to be behind the wheel to ensure you reach your journey’s end in one piece. Control the GPS – According to the CDC, each day in the United States, over 8 people are killed and 1,161 injured in crashes that are reported to involve a distracted driver¹. Smartphones and navigation systems are among the many ways individuals distract themselves while driving. Be the best Magellan you can be and man the directions so your driver can focus on the road. Be the DJ – Much like reading the GPS, choosing the music can divert one’s attention from the road. Do your best to choose collaboratively so no one in the car is displeased, especially the driver. They are doing the hard job, after all. For the music nerds out there, studies have been done on optimal tempo for safe driving². Impress your friends with the findings and make for a safer ride. Stay Awake –To be a good copilot, you want to be well-rested and attentive. Get yourself a solid night’s sleep of 7-8 hours. Enjoy a balanced meal that incorporates complex carbohydrates for lasting energy, protein, and a brain boosting component rich in omega-3s. Grab yourself a coffee at the first rest-stop. Or, even better, grab the driver a coffee. You can’t be a copilot if you’re not awake. Handle the Communication – Perhaps you’re coordinating with another car full of friends on your trip. Your driver may feel inclined to reach for their phone when their text tone sounds out of habit. Establish early on that you’ll be the point of contact during the ride. Texting and driving is one of the leading inhibitors of distracted driving. Taking away the responsibility of communication from the driver is one of the smartest moves a copilot can make. Take Turns Behind the Wheel – Taking turns as the driver is a great way to avoid driver fatigue. If you’re secure with your driving skills, there’s no reason not to switch off during a long trip. This is especially important if your driver actually expresses that they’re tired, or it’s visibly noticeable. Plus, it’s a nice gesture that your driver will likely appreciate. With warmer months approaching, keep these tips in mind as you plan your trips with friends and family. Your safety on the road will allow you to create endless memories as you reach your destination unscathed.